The flower market at Pike Place Market in Seattle, WA is a treat. Flower vendors stand behind countless buckets of blossoms, creating bouquets with art and whimsy. Since my current lodging is close to the market, I get to enjoy the flower market as a part of my weekly routine. Quickly, I noticed how uniquely Pike flower sellers package their bouquets- wrapping them in such a way that, paper wrapped and waiting in planters all day, the flowers stay fresh but also dry and portable for market sales. 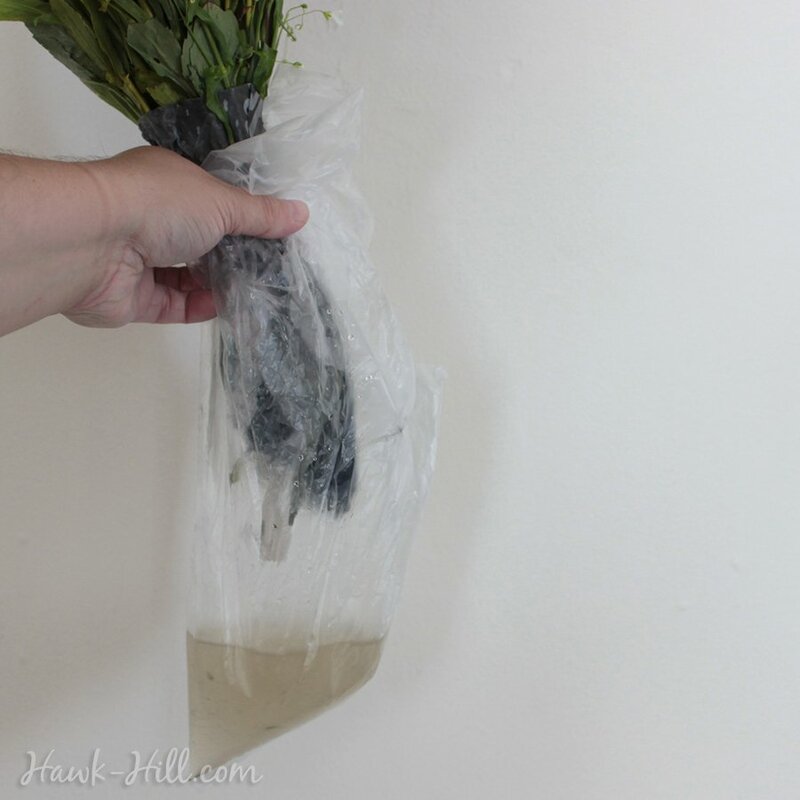 In this post I photographed a Pike Place bouquet as I unwrapped it, so I could reverse the photo order and demonstrate how to wrap a flower bouquet so that it can be left out, without being put in water, for hours or even days without wilting. First cut your paper. It’s for one of the last steps, but prepare it now before your hands are full. 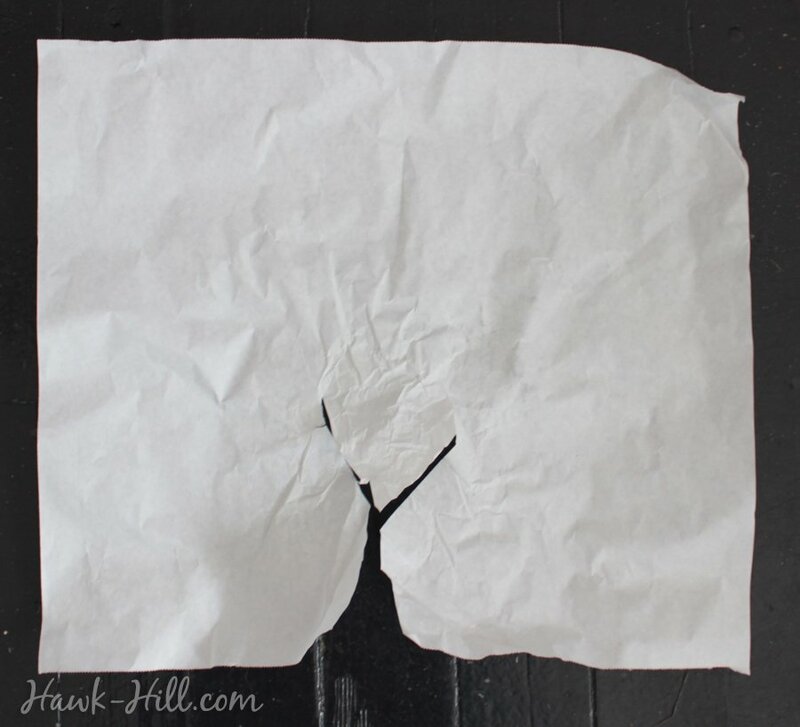 In each of the two pieces of paper make a Y shaped cut that reaches about 30% of the way up the paper, as shown. 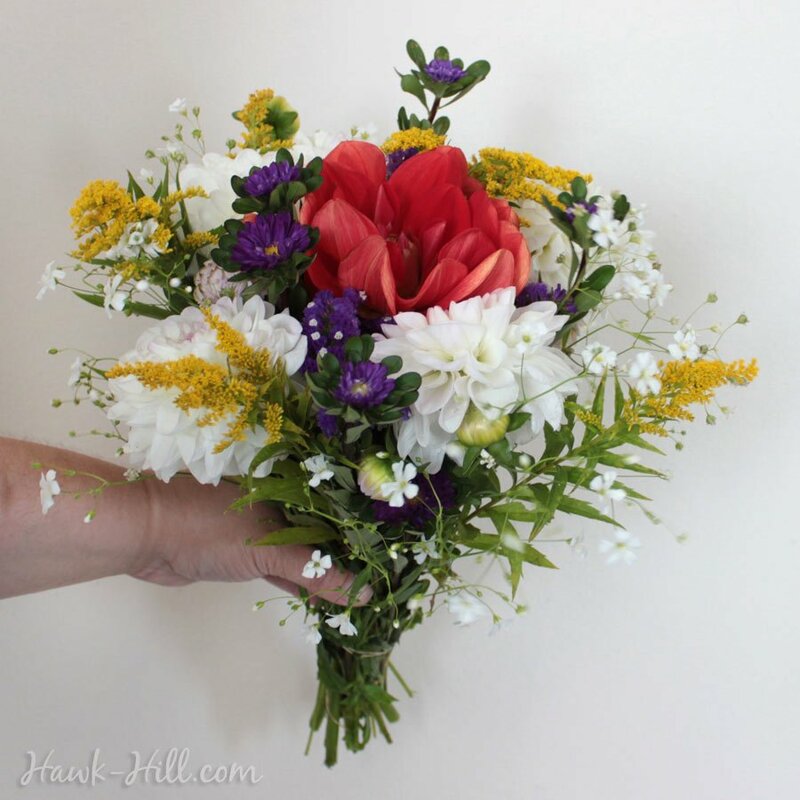 To keep your arrangement from falling out of place, bind your bouquet with a rubber band, around the stems. This tightens the stems into one mass that can be used to anchor the bags in the next steps. 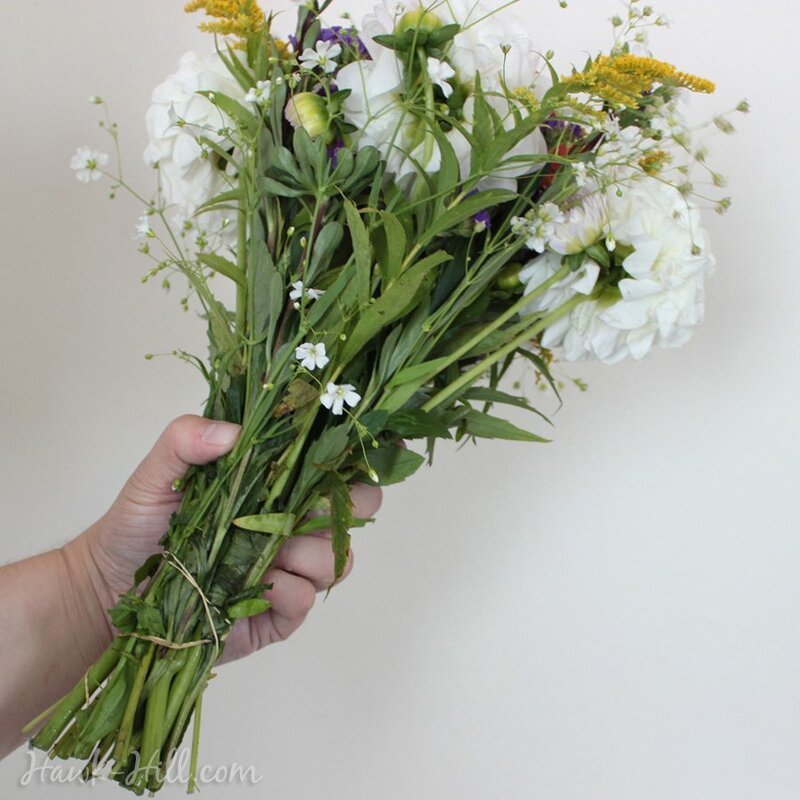 Can you believe the $5 Bouquets from Pike Place market!? 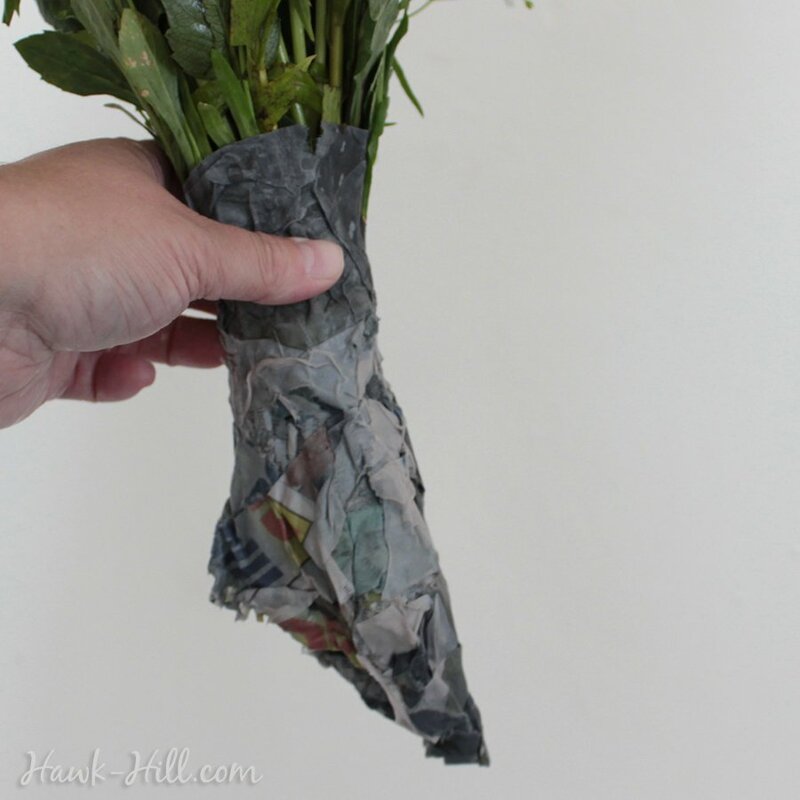 Wrap the stems with the strip of (dry) newsprint. Make sure the newsprint extends past the cut ends of the flowers. It will soak, as shown, during the next steps. 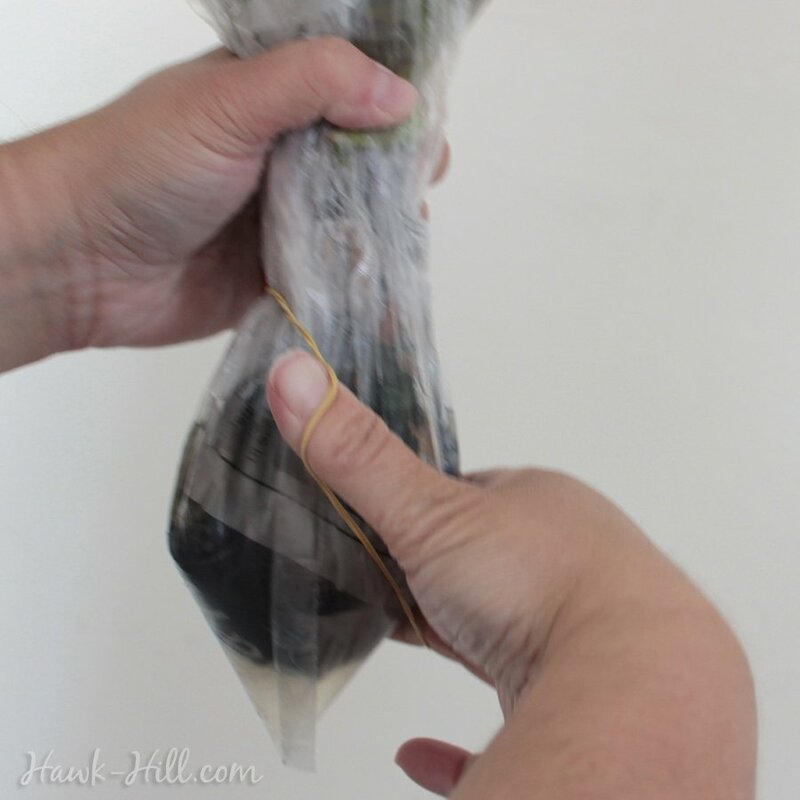 The newsprint helps prevent the ends of the stems from poking through your plastic bag. 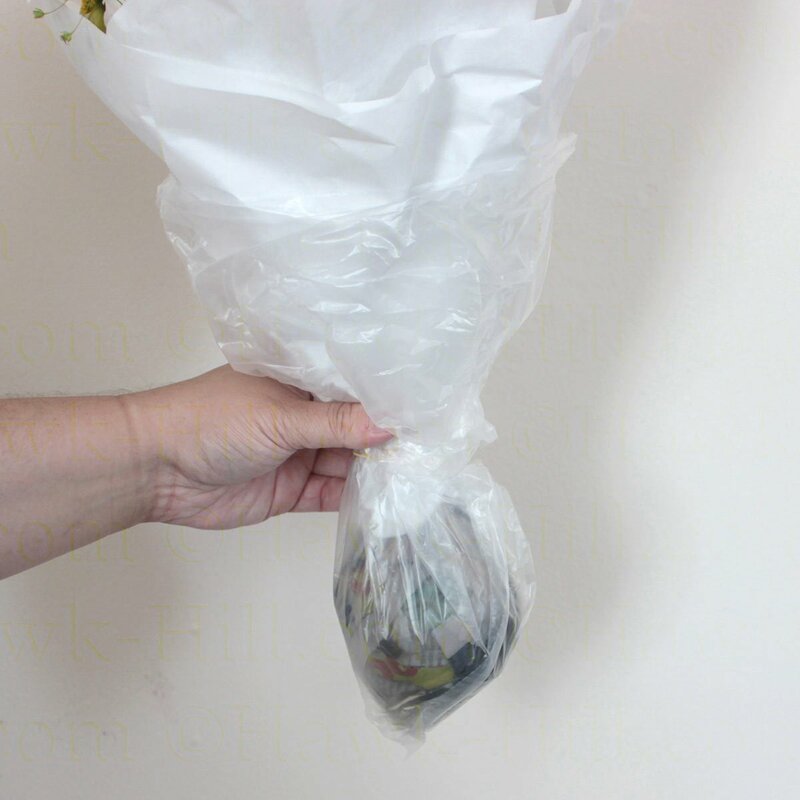 Newsprint helps keep the flower stems from poking through the plastic bag of water. 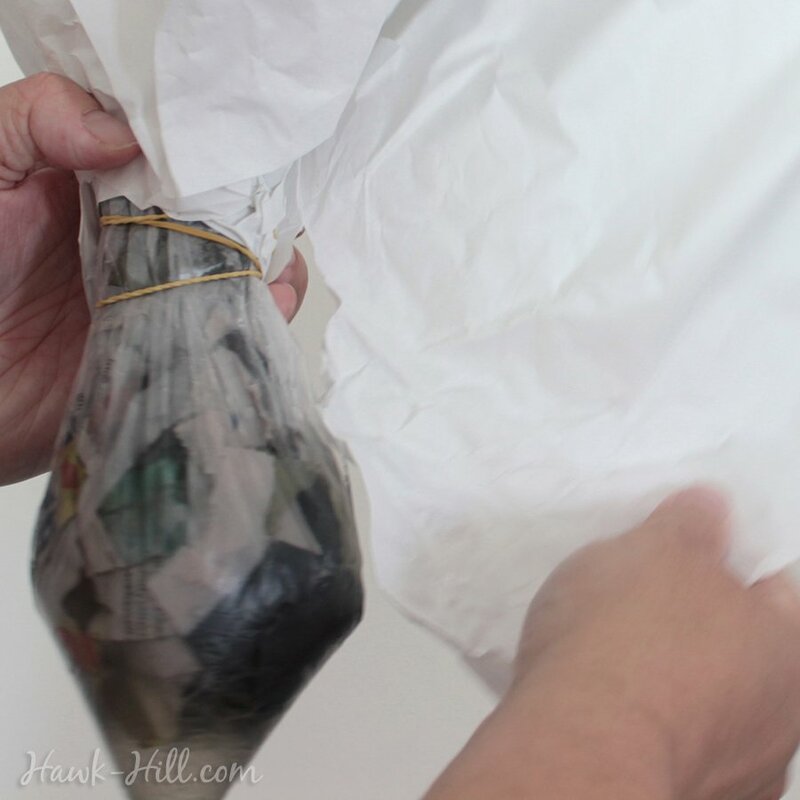 Fill a plastic bag with about 3/4 cup of water, and place the newspaper covered stems into the bag, as shown. 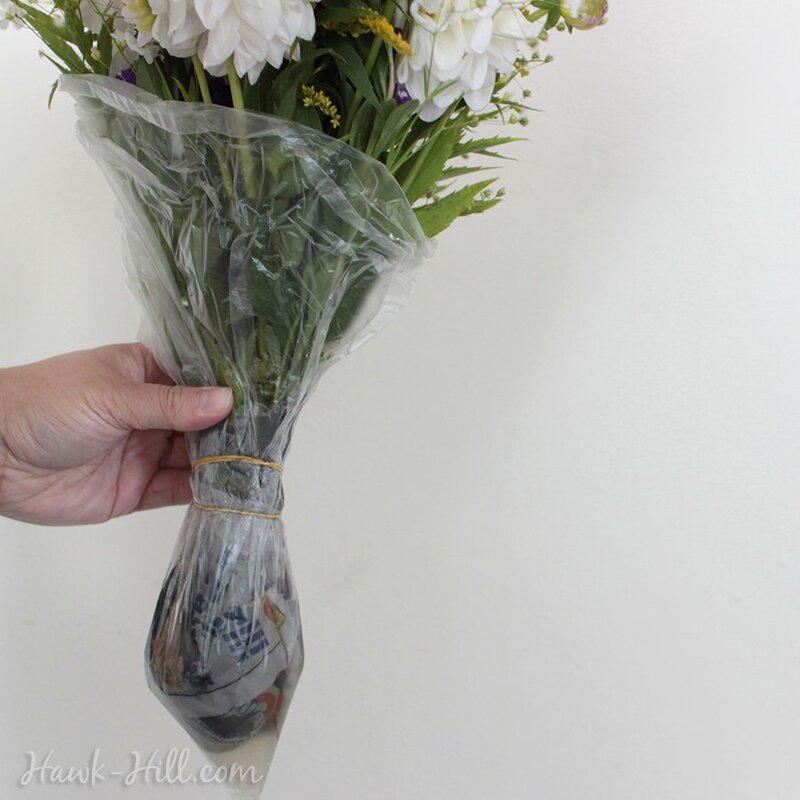 Place a rubber band around the stems, holding the bag of water in place. 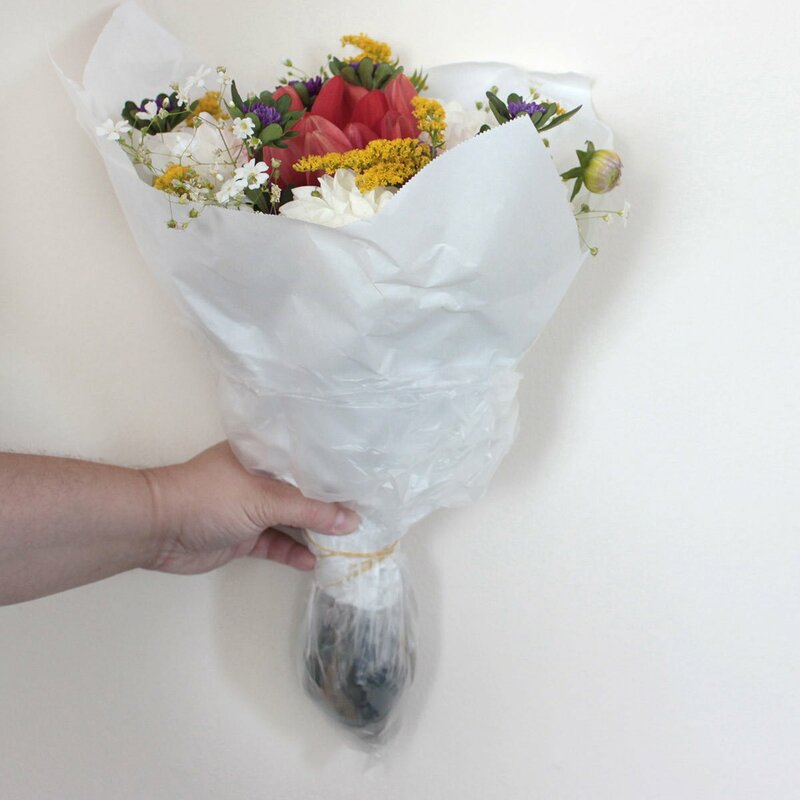 Use the wrapping paper, cut in Step 1, to wrap bouquet. Place the middle of the Y around the grip of your bouquet and wrap the first sheet, then repeat with the second piece of paper. At Pike Place, the flower sellers generally add another bag over the second, and over the paper wrapping, and secure with a third rubber band. 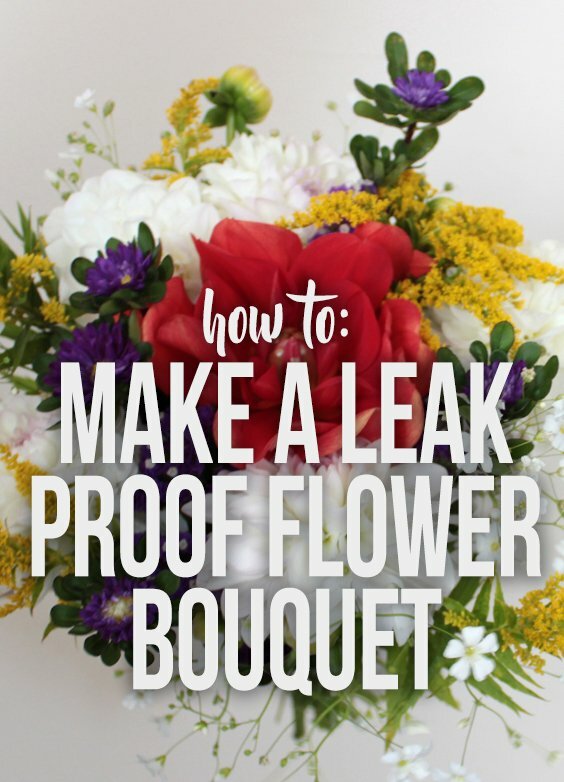 Your bouquet is portable, dry, and has it’s own water source to prevent wilting for up to 1-2 days. This method is perfect for weddings and events- leave off the paper for a pro-looking display, and at the end of the evening guests can take home dry, portable bouquets of fresh flowers with no extra work! Just one caution: These bouquets must be kept upright (or upright-“ish”) or water can leak between stems.